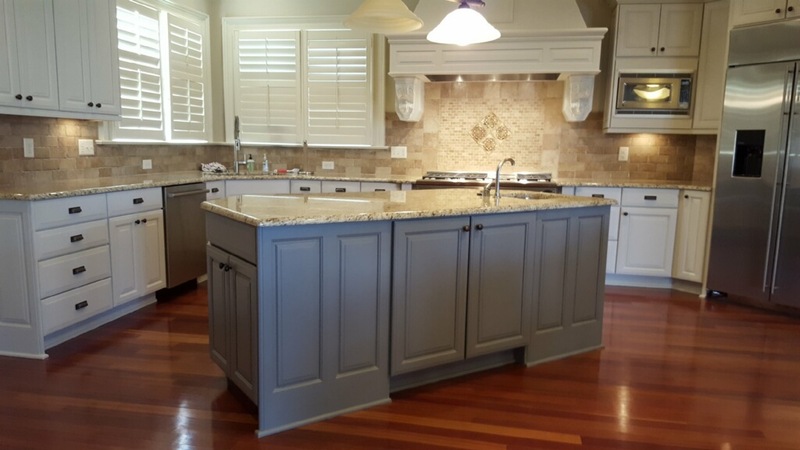 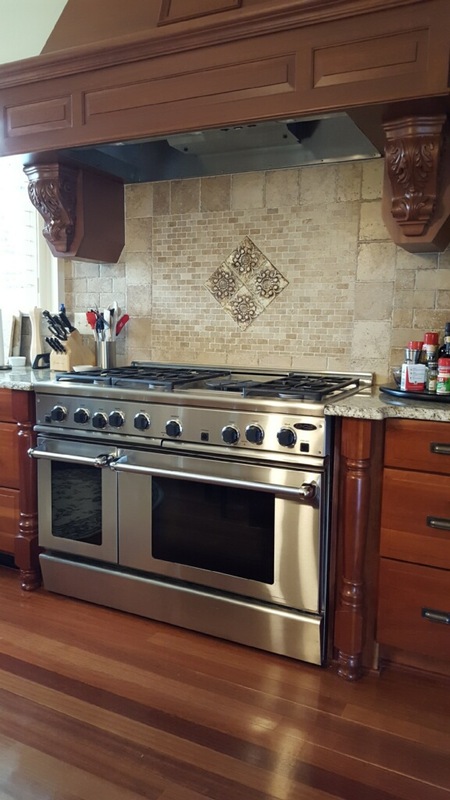 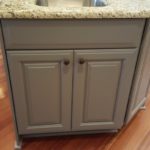 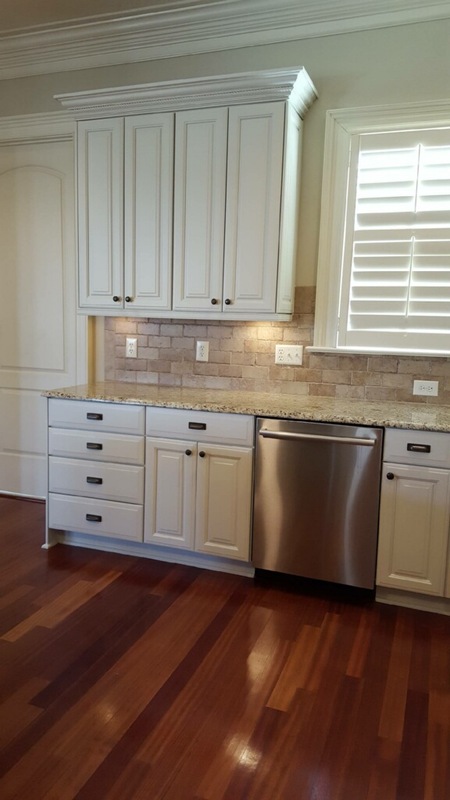 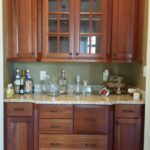 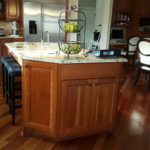 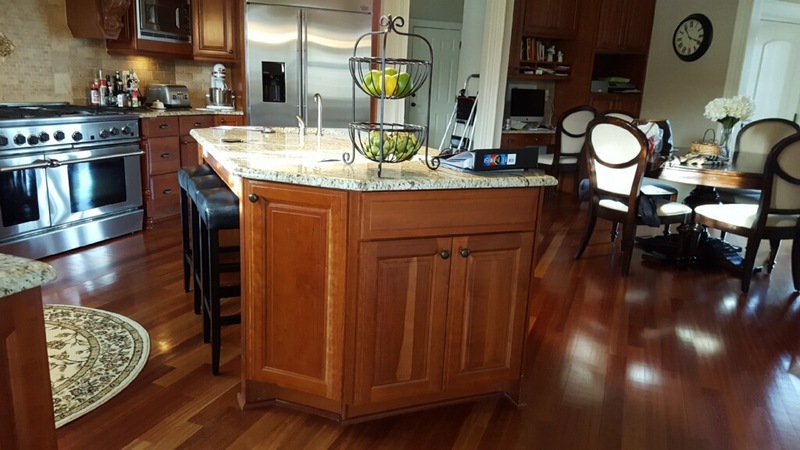 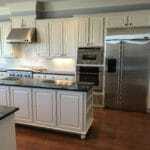 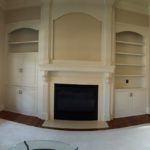 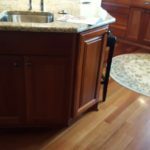 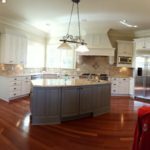 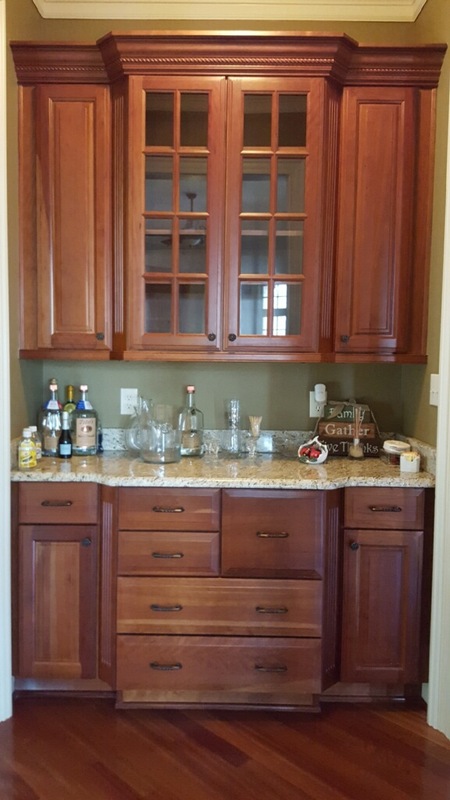 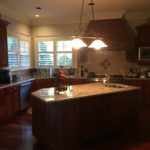 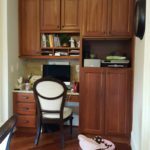 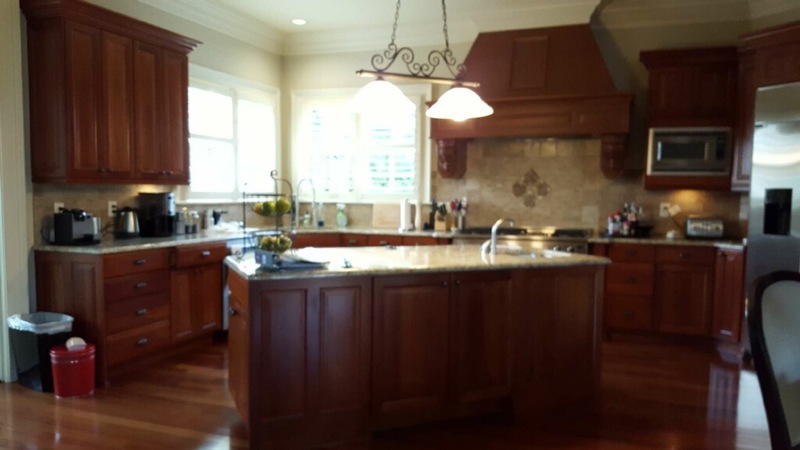 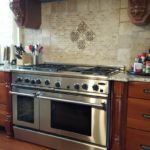 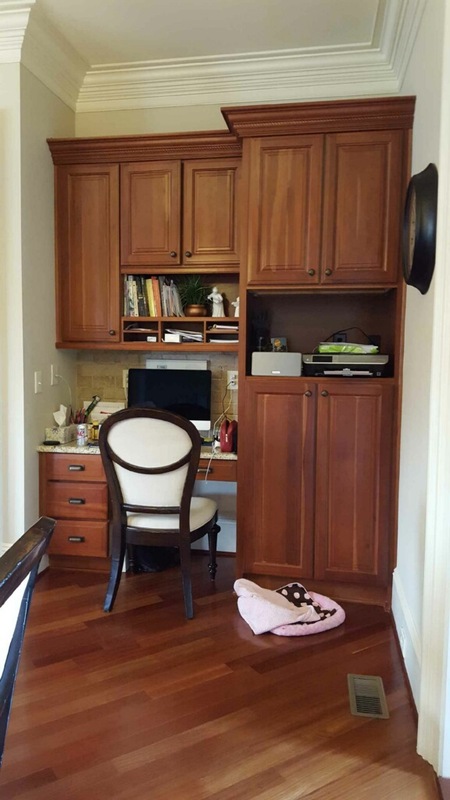 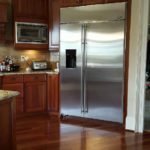 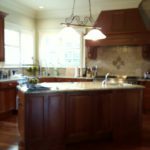 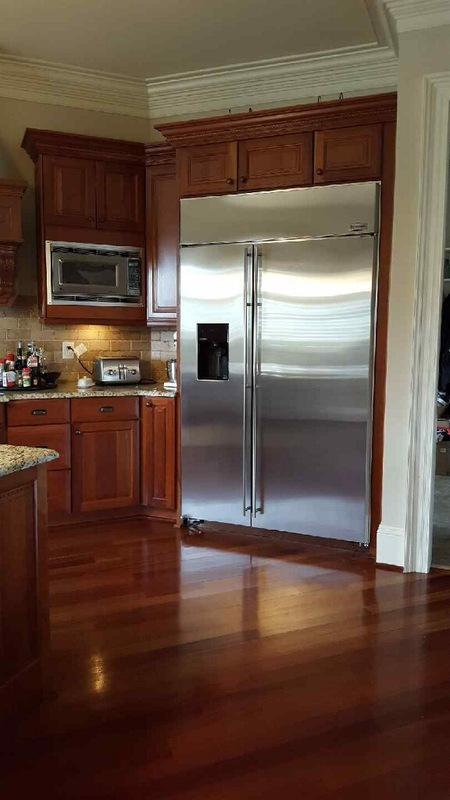 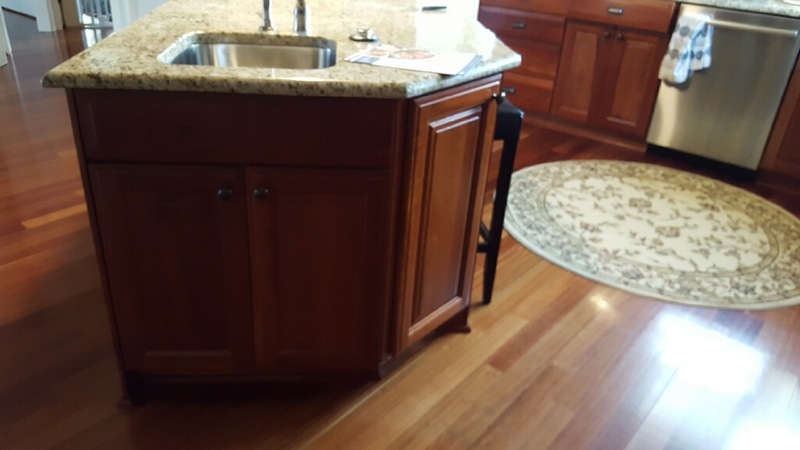 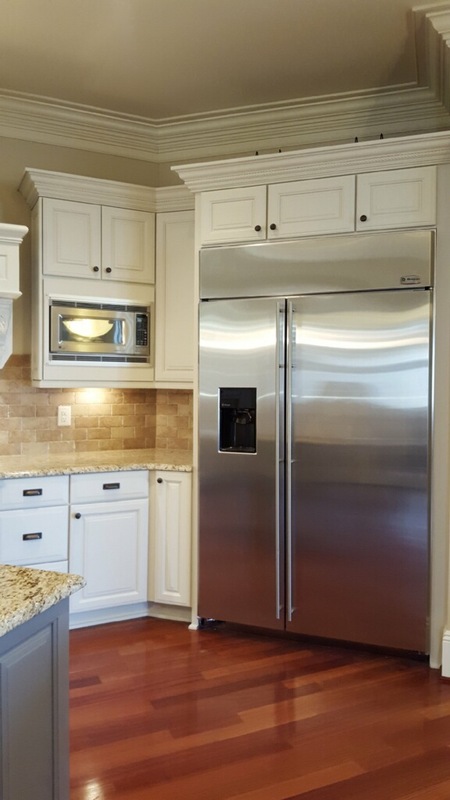 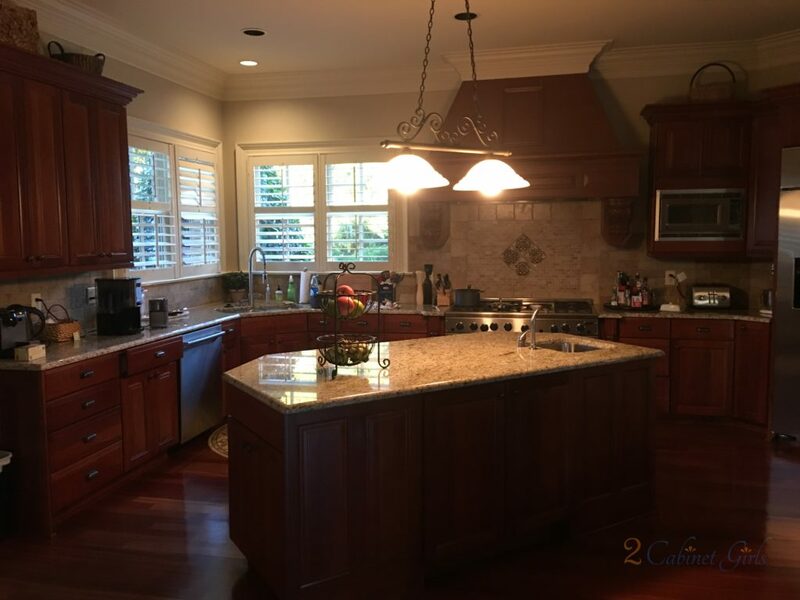 Although our homeowner’s kitchen is a chef’s dream, the dark cherry stain made it feel dark and unwelcoming. 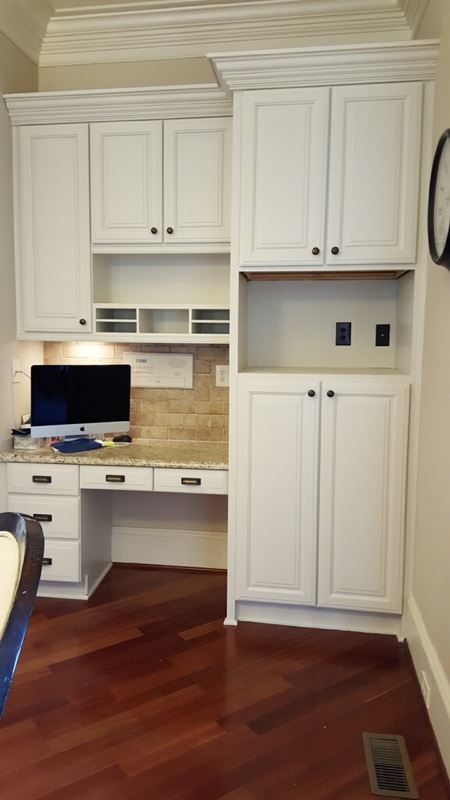 We color matched our paint to their existing trimwork and now the entire space feels like it’s doubled in size. 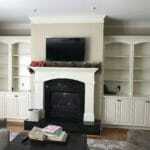 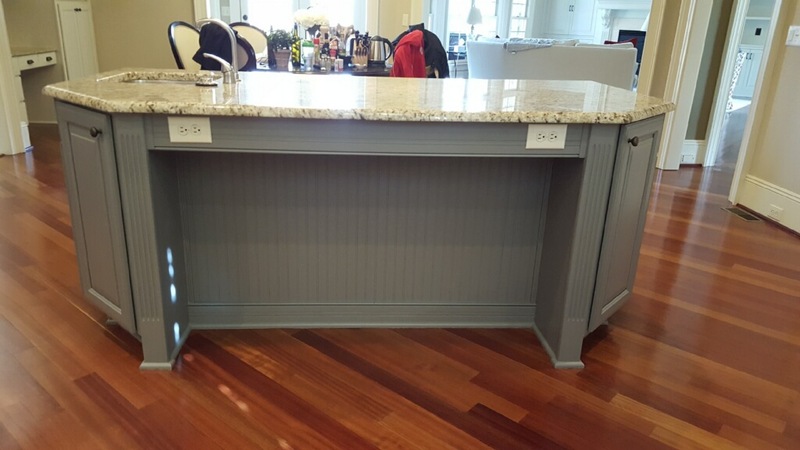 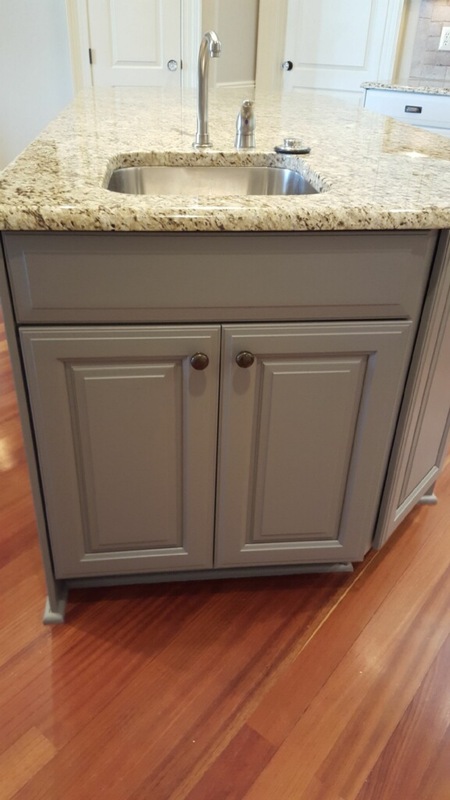 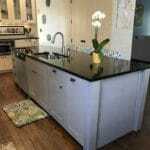 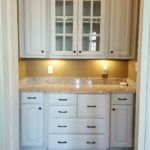 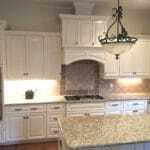 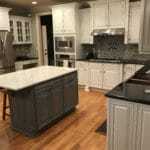 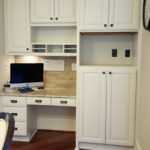 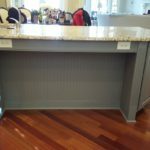 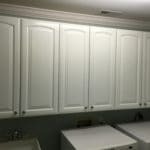 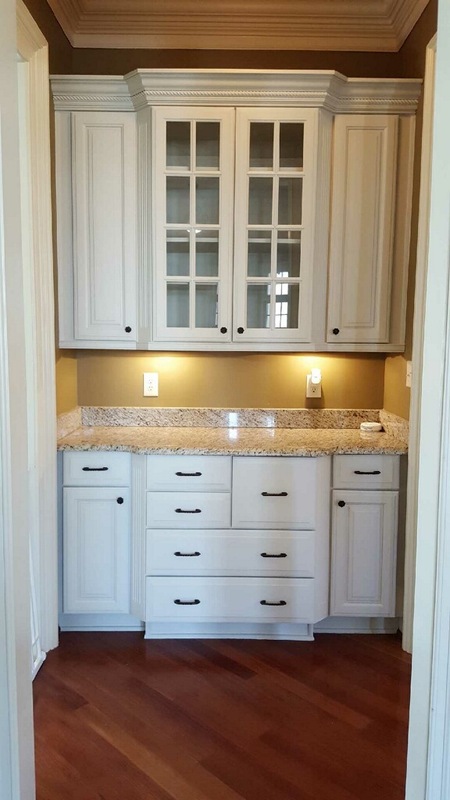 We also added Sherwin Williams Dovetail on the island to ground it and give it more presence. 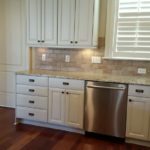 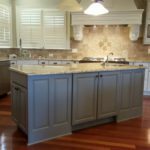 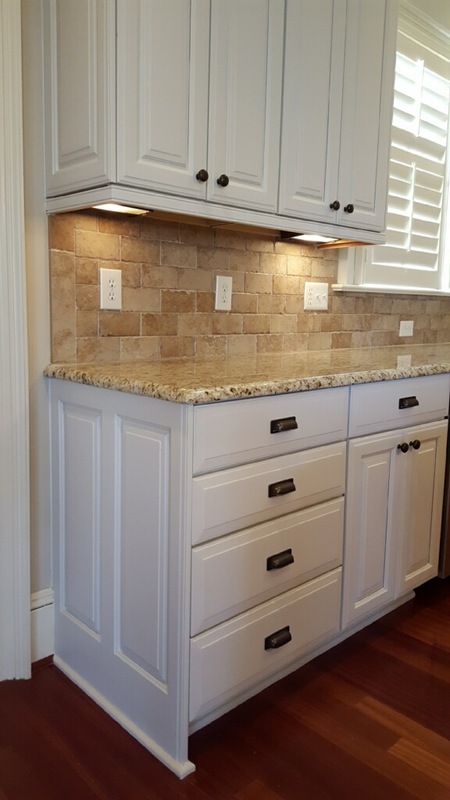 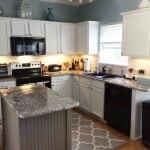 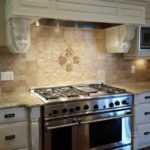 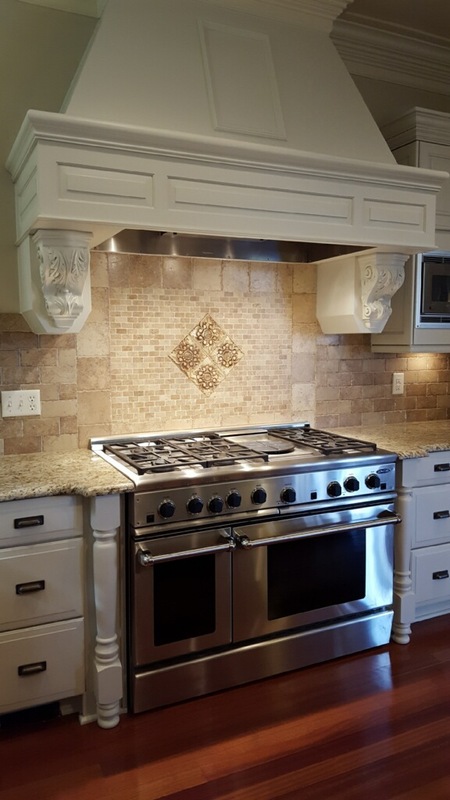 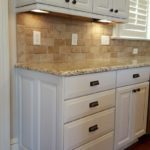 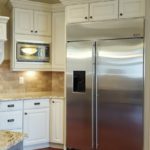 The warm gray is the perfect compliment to the granite and backsplash.